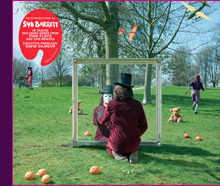 Out now is a new compilation featuring the genius of the original psychedelic madman Syd Barrett - cleverly titled An Introduction to Syd Barrett . Fellow Pink Floydian David Gilmour served as the executive producer of the album, which includes 18 tunes from Syd's solo days as well as the early Pink Floyd days. Check out the video for Here I Go on Facebook.